Are you a successful graduate or someone who is looking for a change in career? Are you considering teaching? We have a wide range of subject and age specialisms available to train in, enabling enthusiastic and outstanding trainees of all backgrounds to join our course. Which subjects and age phases could I study? We offer bespoke and comprehensive teacher training courses in Mathematics, Design & Technology, Biology, Chemistry, Physics, Computer Science, Physical Education, Religious Education & Citizenship, English, History, Geography, Modern Languages, Primary and Primary Maths. Our Initial Teacher Education programme adopts a school-based approach. At Harris, we believe the most effective way to experience all aspects of school life is to be based in a school environment, learning to teach with expert classroom practitioners, supplemented by practical, knowledge-rich subject and pedagogical training each week. One academic year, from September to July. We also offer a Summer School to help you prepare effectively for the course, practise and hone teaching skills and subject knowledge, as well as to meet your fellow beginner teachers and course tutors. 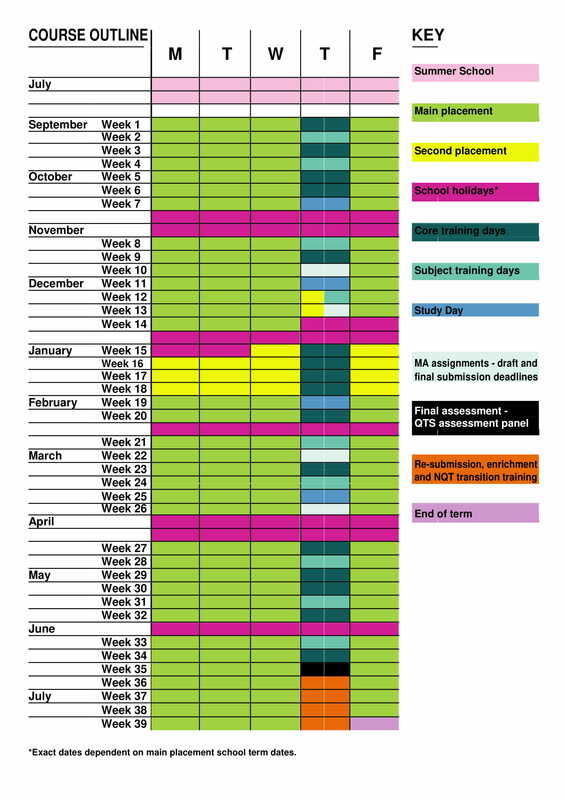 The weekly training sessions are facilitated by our expert practitioners, who role-model outstanding planning, teaching and assessment and support your development as a teacher. 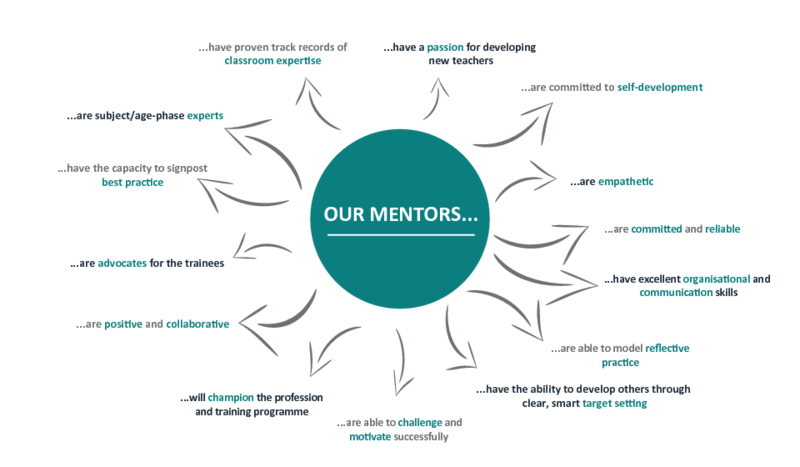 You will be assigned a mentor at each of your placement academies and will also have access to the dedicated Initial Teacher Education central team throughout the course. 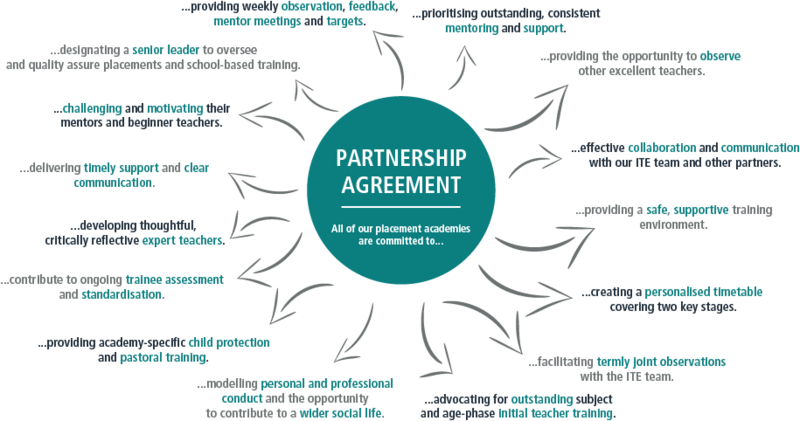 You will have as much support as possible, from your mentors at both school placements, and from the weekly practical training sessions where you will have a subject specialist tutor and subject-specific training days. You will also have the full-time support of the Head of Initial Teacher Education and the teacher training team at training and in-school visits, as well as having the opportunity to catch up and network with your fellow trainees weekly. We will provide you with access to full technical support, and ensure that you have access to books and journals to support any research and studies. What support is available for me as an individual? In the Harris Initial Teacher Education programme, we recognise that each beginner teacher has individual needs. Our programme is designed to help meet your needs, whether they are in subject knowledge, teaching skills or other aspects of professional practice, to ensure that you become the best teacher you can be. The process of auditing personal needs, learning and review starts at interview and informs your programme at Summer School and from the start of the course directing your development towards Qualified Teacher Status. Shortly after you are first offered a place on the programme, we will contact you to agree pre-course tasks and reading lists. Throughout the course, your support visits and training will also be tailored to personal need to ensure maximum progress, confidence and personal development. 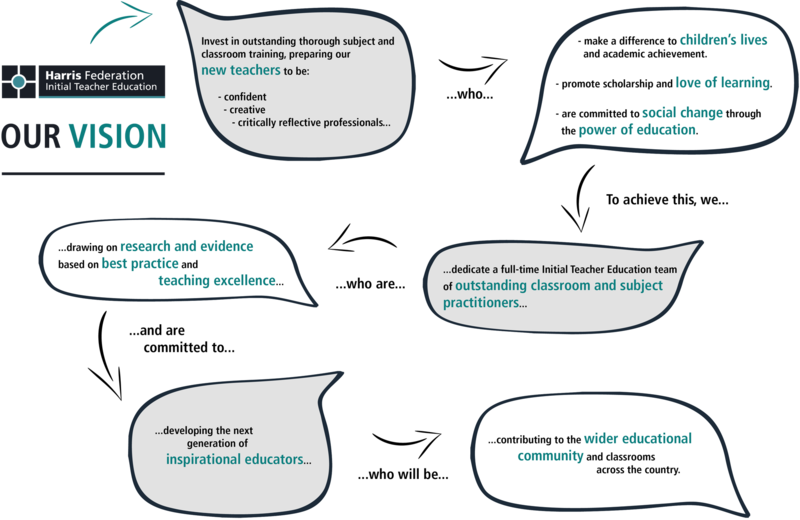 There are two funding routes available for you on our Initial Teacher Education course: salaried and fee-funded. For more information about our salaried and fee-funded positions, as well as details about qualifications and how you will be assessed, please head over to our Salary & Benefits page. For more information on funding options and what is personally available to you via the School Direct programme, please see https://getintoteaching.education.gov.uk/bursaries-and-funding. Please feel free to contact us for a friendly chat and advice about how to join our next group of brilliant beginner teachers here at Harris Initial Teacher Education. Staff in the Harris Federation academies will give every support to trainees on the programme, and we want you to enjoy your time with us. We welcome you and look forward to you developing your teaching career with us. Harris Federation ITE 2018 from Cleverbox Digital on Vimeo.